February 2018 – Roads Inc.
Work is progressing nicely on the Muscogee Road Project. We are expecting to have the road closure finished by mid-March and have the road open to traffic. Drivers should find a much better ride from Jacks Branch to Beulah road. 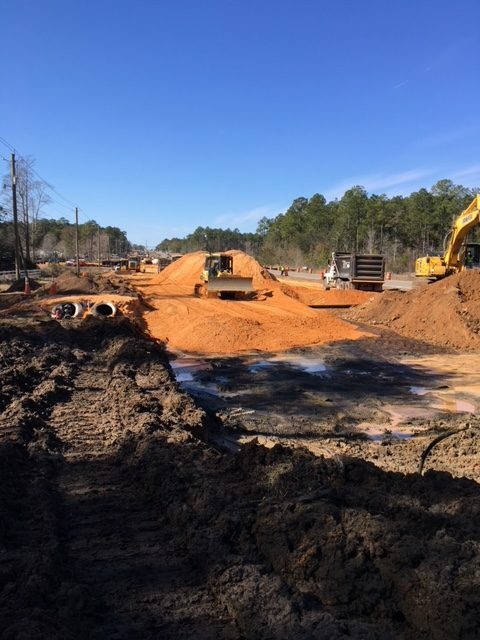 Starting next week expect to find detours on Hwy 29 as we continue work on the roadway and drainage improvements from the Interstate to Ten-mile rd. The East bound bridge at Nine Mile Rd and Navy Federal is complete and our crews are working diligently to complete this project. BE SAFE and please pay attention to the hard-working guys improving your drive. They have families too.